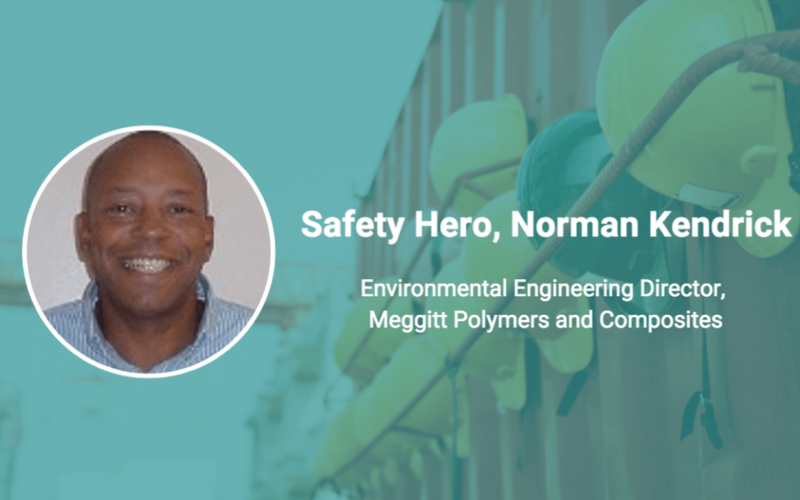 Norman Kendrick, Health Safety and Environmental Engineering Director at Meggitt Polymers and Composites, has great advice for someone starting out in safety: “Listen and fully understand the issue or concern,” he says. “There are valid safety concerns and valid human interfacing personal wants—and knowing what may be a true HSE matter will support how to respond to the customer,” he says. Keep reading to see what this Safety Hero says is important in his role to support safety, and what he wishes others knew about safety, too. What’s do you think is most important in your role? Understanding data. Asking important clear precise questions to gain an understanding in order to obtain a true root cause is also important. What’s your favorite thing about your work right now? Developing new engineers or Health Safety and Environmental officers coming into the field. Yes, a fatality. Understanding human error versus process error. It taught me to be more studious with analyzing data. What do you think people should know about safety? That being safe goes well beyond the workplace and being safe and environmentally conscious is not a task that belongs with a Safety Officer but in everyone’s everyday life. I have two. First our goal is “goal zero” meaning an entire site and organization should and shall strive for zero incident and incident injuries. Second, “please remain safe.” This too means live by it all day, every day. Who has been a leader that inspired you? Unit leader who is now retired took me under his wing, so to speak. Hazard recognition—the ability to interpret hazards before they occur. Support through continuous training and the addition of a training Key Performance Indicator requirement.